For many years now there has been an issue in the British flute world that has been allowed to continue unchecked and I feel that is time that someone with a contrasting view voices an opinion. In my 35 years or thereabouts at the top end of the orchestral world in the UK I have tried to avoid confrontation, and it is only after a long period of thought that I have finally decided to share my opinions. I certainly have no intention to offend anyone, but equally, the endless highly disturbing stories that I hear back from both professionals and students make me realise that silence is no longer an option. I refer to the tuning of flutes and the ‘war’ that appears to be waged by certain distinguished players and teachers in the UK against manufacturers they have either an axe to grind with or quite simply, no time for. As an example, I find it difficult to articulate far forward (recommended by many well-known teachers), as I have a narrow mouth and a wide tongue. For people with a more ‘standard’ mouth, I will advise them to articulate further forward initially, but it doesn’t work for me. A further problem is that language also plays a significant part in our approach to articulation (and indeed sound), but this is probably best left for another time! 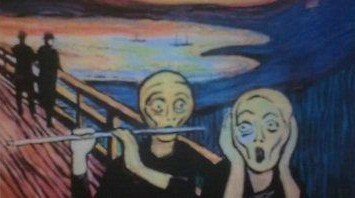 In other words there are so many variables that go into the creation of a note on the flute. The scale of the instrument is one of these, but by no means is it the ‘be all and end all’. 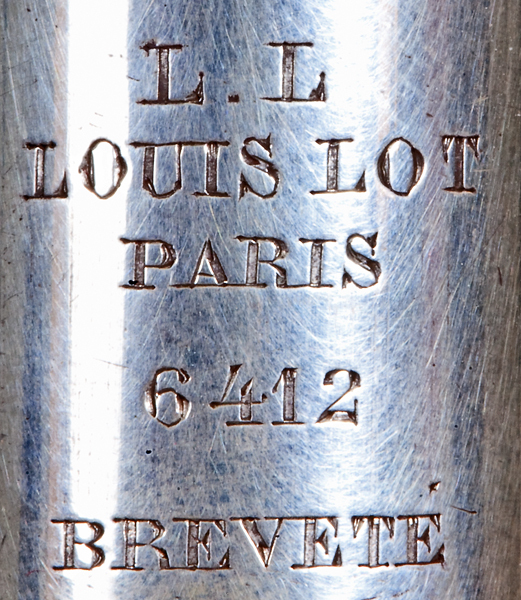 After I left music college I decided that one day I would like to own a Louis Lot flute. A piece of history and, when re-tuned to a more modern scale, a very fine instrument. However, I wanted it to be a relatively early one and therefore a seamed head and body. Finally one turned up and whilst the only note that worked on it was an open C sharp (in the middle of the stave), the sound quality was good enough for me to decide to take the plunge, buy it and then have it adjusted by Nick Crabbe. Nick worked on the flute for a long time, but I wasn’t in a particular hurry and in fact he made an excellent job of the re-tuning. Sadly, my colleagues in the LSO were not instant fans. Louis Lots have a very distinctive sound and at that moment in time, they had been used to my old flute (Arista number 2), which was a fine flute that had a sound more in keeping with a good blend in a woodwind section. The Louis Lot had a wider, richer sound and as such was going to be a better solo instrument. So I didn’t play it very much in the orchestra and it spent most of its time in a cupboard. 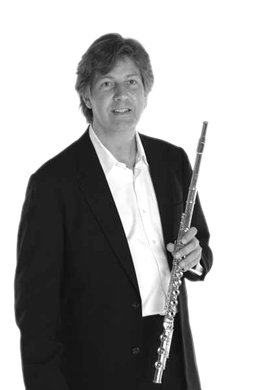 One day I bumped into a very well-known British flute player and he enquired about my Louis Lot. I had it with me and he asked to try it. He blew it the way that only this gentleman in question can blow a flute and pronounced the second octave (middle of the stave) C sharp too sharp. I had not noticed this at all, but he then insisted on taking the flute apart and adding some plasticine to the offending hole to flatten the note. For a few years the flute went back into the cupboard and was virtually forgotten about. Some time later though, another professional flute player who lives locally and who plays on Louis Lot flutes contacted me and asked if she could borrow my LL flute for awhile, as hers was going in for a major service. 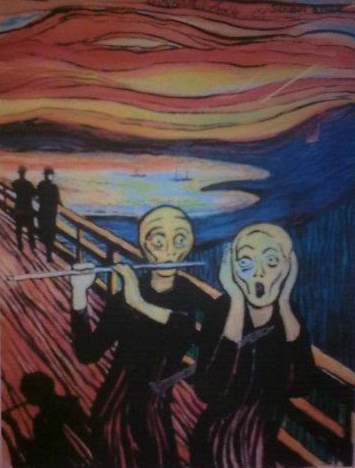 I was delighted that this wonderful flute would be played again. As it turned out, her flute took longer to fix and she ended up playing my flute for about three months. However, there was then a bit of a pause. I tried it and sure enough the C sharp was incredibly flat. The events of several years prior to this moment then slowly came back to me. Needless to say, I dismantled the left hand mechanism of the flute and stripped out the offending plasticine. The flute is now very much more in tune for me again! I have now played on Powell hand made flutes for close on fourteen years and am exceedingly happy with the two instruments that I regularly work with. Whilst there are certain notes (many of them in common with all makes of flute) that require more attention than others for accurate intonation, there is nothing in the three main octaves of the instrument that makes life overly difficult. Contrary to this, there is one make of Japanese flute (extremely well made) that is played very successfully by many professional players. 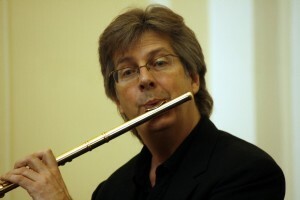 I personally have problems with this make of flute, particularly in the very bottom end of the instrument, where I find it difficult to get certain notes up to pitch. From my orchestral experiences, I have found it much easier to physically adapt my playing to bring potentially sharp top octave notes down than to lift up flat bottom octave notes. The latter becomes even more relevant in a p dynamic. Therefore it makes life a lot less stressful in those Shostakovich symphonies with flute solos in a p dynamic that travel down to the last notes on the instrument to play on a flute that is not flat at the low end. Other composers where a flat bottom octave can make life difficult: Mahler, Stravinsky, Ravel, Debussy etc….. When looking for a new instrument I would urge all potential purchasers to try out all of the mainstream makes of flute. Whilst I currently play on a Powell flute, all I can say is that this make works for me and I am thoroughly happy with the instruments I possess. I am happy for people to see my enthusiasm for these flutes, but I would never tell anyone that this is the make for them. I have also tried amazingly interesting flutes from other well known manufacturers, both American and Japanese and would urge you to spend some time finding your way around these instruments. As I have made very clear above, we are all different and are looking for a wide range of varying possibilities out of the instruments we play. If it is a handmade instrument that you are looking for, ask to take it away for a few days, play it to friends with ears you trust and spend some time carefully going through the instrument with a tuning machine. In this way, you will discover the idiosyncracies of the instrument and be able to reach a logical conclusion as to whether or not the instrument is right for you and your physical make up. Finally, be guided by your instincts. The world would be a much poorer place if we all ended up with identikit flutes! Alternative Crowns & Stoppers: A Resounding Leap Forward?